St Remy boasts a window shopper’s feast balanced between local services and products to tempt the tourists. The southern half of the boulevard contains most shops although the ever enduring popularity of St Remy means business premises are increasing popping around the previously quieter northern perimeter. Don’t miss Florame with organic soaps and toiletries or the biscuits and nougat at Au Petit Duc. To do the shops in St Remy justice, visit them at a different time to the Wednesday morning St Remy market. I will be adding a list of recommended St Remy shops as I feature them on this site. 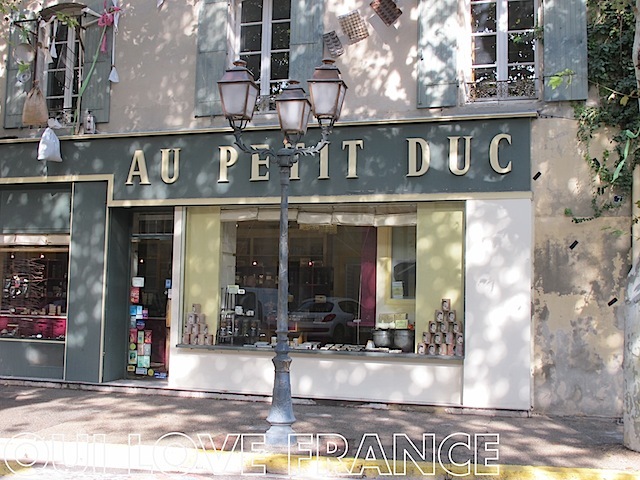 Can you recommend any favourite shops in St Remy de Provence and surrounding area?